Lace up those platform shoes and start that mirror ball a-spinnin'! 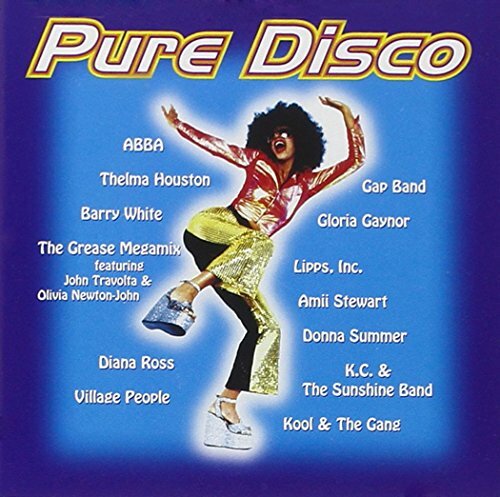 42 classic tracks, including YMCA Village People; Knock on Wood Amii Stewart; Dancing Queen ABBA; Last Dance Donna Summer; I Will Survive Gloria Gaynor; I Need Your Lovin' Teena Marie; I Love the Nightlife Alicia Bridges; Best Disco in Town Ritchie Family; If I Can't Have You Yvonne Elliman; Oops Upside Your Head Gap Band; Upside Down Diana Ross; Cuba Gibson Brothers; Funkytown Lipps, Inc.; Turn the Beat Around Vicki Sue Robinson; We Are Family Sister Sledge, and more. If you have any questions about this product by Polygram, contact us by completing and submitting the form below. If you are looking for a specif part number, please include it with your message.